Two distinct papers bound together. Excavations at Santa Rosa presents the work of the 1958 season at this site in the middle Grijalva River depression on the Aguacate River. This large center of platforms and pyramids flourished in the Late Preclassic to Protoclassic periods. 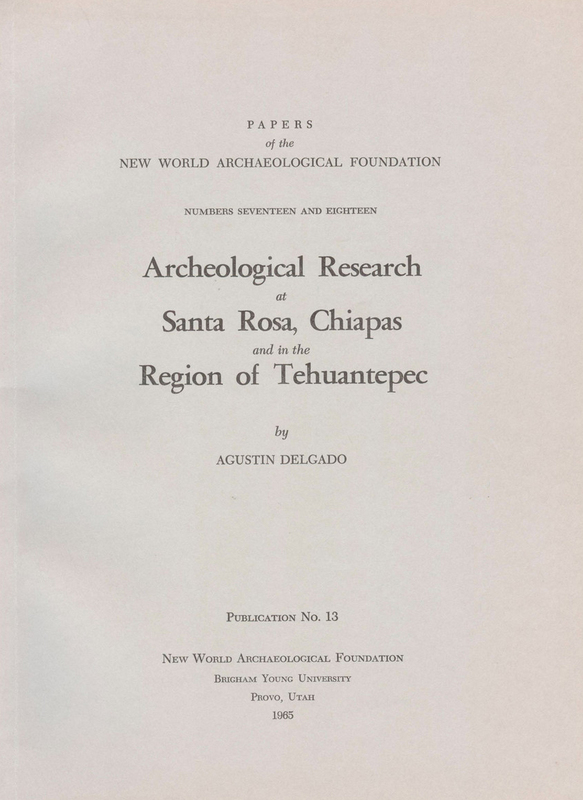 Archaeological Reconnaissance in Tehuantepec focused on locating sites in Juchitan and surrounding areas of coastal Oaxaca in 1959.